Epicor understands that businesses manufacturing and/or distributing medical devices face a unique set of challenges. Whether your business is built on the creation of a single successful device, or other manufacturers depend on you for parts or components in their end devices, or you procure and supply end medical devices directly; the drive for providing the latest innovative technologies alongside long product development cycles and complex traceability requirements inherently introduce risk. Demographics are on your side. With today’s aging population, tremendous opportunity is available to successful medical device businesses who can manage growth, while responding to market changes and adhering to the rigorous demands of the industry; namely FDA 21 CFR Part 11 compliance, ISO13485, and cGMP. With increasing pressure to reduce price in a business climate of expanding raw material cost, transportation cost, and reduced labor availability, businesses like yours are streamlining and adopting new technology to automate business processes for more competitive lead times and reduced waste. 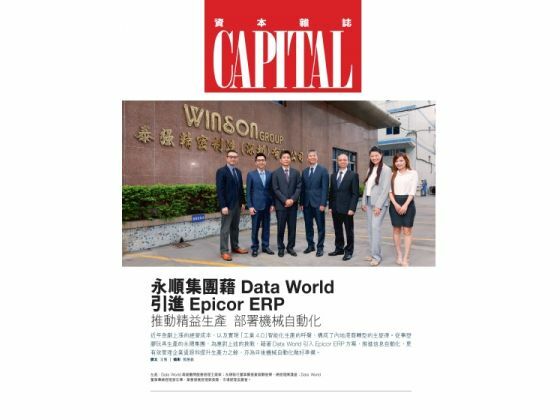 Data World understands the demands placed on manufacturing today, thus a comprehensive solution, Epicor is provided to effectively address the unique business and operational needs of Medical Devices Manufacturing. Epicor for Medical Devices provides a comprehensive framework for managing product innovation with solid product data management, quality process controls and cradle-to-grave product traceability. 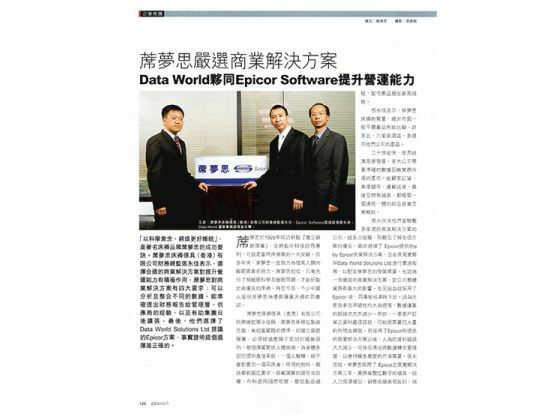 As the Platinum Partner of Epicor, Data World is the largest Epicor solution provider in Hong Kong. With over 35 years of experience in providing the world-class solutions for manufacturing, Data World has a well-developed business and numerous manufacturing success stories. We have more than 150 professional IT experts with rich ERP implementation experience and in-depth knowledge of market trend. We provide comprehensive services for manufacturing industry, from consulting and implementation, to customization and system maintenance, help manufacturing optimize production processes, reduce waste of resources and increase operational efficiency. Epicor Financial Management offers a refreshing new approach to business, a suite of accounting applications built for the highly regulated and increasingly global business world. 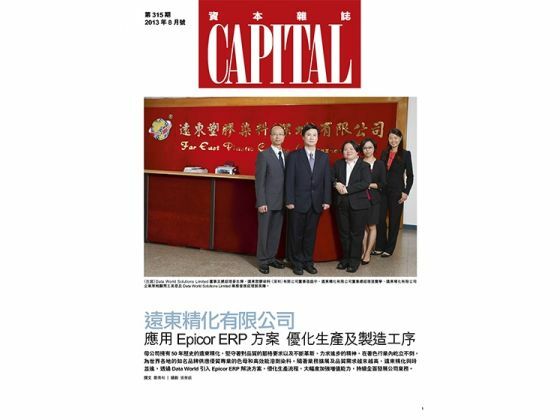 Built around a series of “global engines” that support effective financial management and control anywhere. Our goal is to help every business achieve sound financial management and control, from a single general ledger to the extended global enterprise, efficiently. Epicor Financial Management gives you access to real–time fiscal information and provides the modern platform you need to support business around the world. 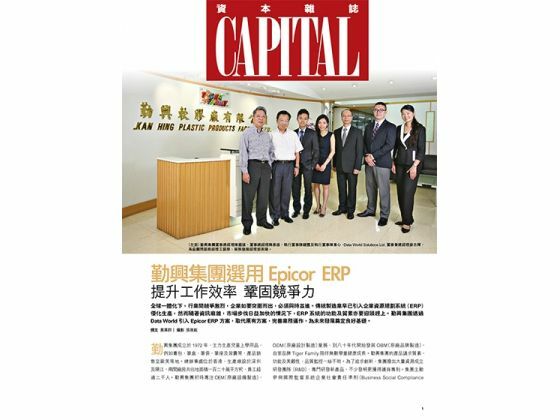 Epicor Software is a global leader delivering business software solutions to manufacturing, distribution, retail, hospitality services industries and NGO. 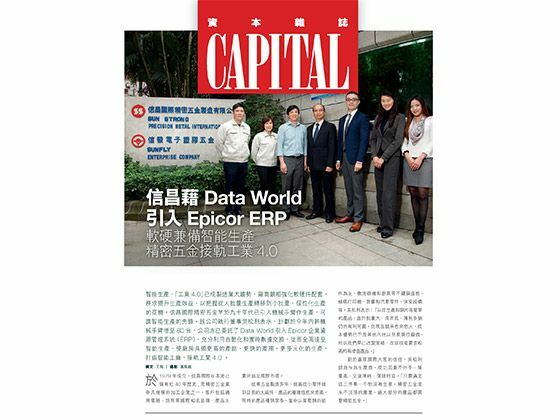 With 20,000 customers in over 150 countries, Epicor provides integrated Enterprise Resource Planning (ERP), Customer Relationship Management (CRM), Supply Chain Management (SCM) and enterprise retail software solutions that enable companies to drive increased efficiency and improve profitability. Business without barriers - with Epicor True SOA™, Epicor ERP is built on a uniquely configurable global ERP platform, offering far-reaching functionality and redefining the enterprise application software experience. Epicor ERP raises technology to a level that supports continuous performance through real-time, in-context Business Insight. At the core of Epicor ERP is an adaptable and collaborative business architecture that satisfies the needs of any enterprise – regardless of country, industry or device – to enable Business Anywhere. Linking the trading partners, processes, and systems that make up your supply chain has become the differentiation you need to achieve industry-leading performance. Removing processes that do not add value and synchronizing processes within and outside a company enable you to meet customer demands for lower cost and faster delivery. Epicor provides the most effective coordination from initial raw materials to the ultimate consumption of the finished product by providing the visibility you need throughout your value chain. Epicor offers you a full range of Supply Chain Management (SCM) capabilities, built within a single business platform, based on industry leading service-oriented architecture (SOA). Epicor SCM is a full suite of enterprise application capabilities including purchase management, sourcing and procurement, inventory management, advanced material management, and warehouse management, and is complemented by order and demand management capabilities of Epicor Sales Management. Combined, you have the solution needed to satisfy customers and customer demand in today’s increasingly global market place. Epicor Product Data Management (PDM) serves as a central knowledge repository for process and product history. PDM promotes integration and data exchange among all enterprise users who interact with products—including project managers, engineers, salespeople, buyers, and quality assurance representatives. Epicor offers a solution that manages the powerful information traditionally contained in engineering documents, plant floor routings, change orders, sales orders, and quality documentation within a single solution that is easily shared across the enterprise. Promoting collaboration throughout the value chain, Epicor PDM provides a complete end-to-end solution to manage all aspects of a product’s lifecycle, enabling enterprises to control the enormous amount of electronic documents they produce. Performance-driven companies have mastered the art of predicting and responding quickly to changes in customer demand with minimal business interruption. Whether you are a global, multisite enterprise or a single site manufacturer or distributor, precise and flexible planning and scheduling is imperative to efficient and profitable operation. Epicor offers a comprehensive solution for forecasting, material requirements planning (MRP), scheduling, and advanced planning and scheduling to meet the needs of today’s agile businesses. For companies with complex processes that require project management and resource management capabilities, Epicor Planning and Scheduling offers a comprehensive solution that is baked into the fiber of the product for unparalleled operational visibility. Whether you manufacture complex solutions or simple products, you need strong production control in order to build a competitive advantage. As the global marketplace continues to shrink profit margins and customers become more demanding, businesses are looking for agile solutions that can provide the infrastructure they need to respond quickly and efficiently. Epicor offers a comprehensive solution for make-to-order, mixed-mode, make-to-stock, engineer-to-order, and configure–to-order manufacturers; including light assembly features for distribution businesses. Modular in design, the production control suite of modules include Job Management, Lean Manufacturing, Manufacturing Execution System (MES), Quality Assurance, and Advanced Quality Management. Epicor is ready to help organizations take advantage of the changing economic tide with its latest Enterprise Resource Planning (ERP) system suite. Guided by the need of today’s users, Epicor ERP is a global enterprise resource planning solution that delivers the choice, flexibility and agility to drive growth and opportunity throughout your business. Project success is critical to bottom-line profitability, yet many businesses struggle with projects running behind schedule or over budget. Project scope needs to be managed constantly with variations identified immediately. Epicor Project Management is a comprehensive solution for project managers who plan and execute simple or complex projects that can require intricate multilevel phases as well as strict costing and complex billing. Embedded within the robust capabilities of Epicor, Project Management utilizes the detailed estimation, planning, scheduling, costing, and supply chain logistics of Epicor for complete control and analysis of any project. Resource Management provides a detailed representation of resource capabilities and availability. Time and Expense Management and Approval ensure projects accurately reflect true costs and the comprehensive Billing and Revenue Recognition functionality guarantee compliance with contract requirements and accounting standards. At all times, throughout the whole process, embedded Project Analysis and reporting combined with Business Process Management provides accurate and up-to-date status information and meaningful alerts. To be successful in a project environment, project management must permeate every aspect of your business solution. Companies that are able to efficiently meet the demands of managing their portfolio of projects have a distinct advantage over their competition; they have a better understanding of their costs so they can bid and win business with confidence. Epicor Service Management optimizes customer service with timely response to customer requests and puts knowledge in the hands of customer service personnel. Epicor understands that customers want rapid response service. From initial contact with the customer regarding an incident, to in the field operations, to processing returns quickly and efficiently, Epicor Service Management provides the visibility and accountability your business needs. Epicor Sales Management delivers a comprehensive suite that enables you to produce accurate estimates, streamline your order-to-cash cycle, and fulfill perfect orders that ensure world-class customer satisfaction. By streamlining the sales process with centralized access to product, pricing, and customer information, orders can be generated with a minimal number of steps. Epicor Sales Management automates and improves labor-intensive processes for quoting, proposal generation, configuration and order entry, enabling you to improve sales productivity by increasing accuracy during the quote and order processes, and identifying the right solution to meet customers’ needs. Customer relationship management (CRM) strategies are as important to business today as they have ever been. We’ve designed Epicor CRM to help you stay ahead of the curve and successfully meet the challenges that the market brings— helping you effectively manage your entire customer lifecycle from prospect to cash to care, improve operational efficiency and accelerate growth—both internally and externally. CRM controls every aspect of a company’s interaction with its customers and potential customers from generating the lead, developing the opportunity, taking the order, producing and shipping or supplying the goods or services, getting the cash and supporting the customer. Epicor CRM provides a 360-degree view of the entire customer, supplier, or partner relationship. Epicor CRM broadens the scope of customer information to everyone within and across the organization and to stakeholders beyond. 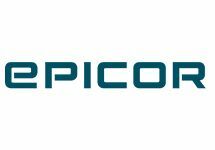 Epicor Social Enterprise (ESE) further enhances Epicor CRM, delivering up-to-date contextual information to key stakeholders for the life of the customer relationship. Using ESE, customers, prospects, partners can collaborate with internal information workers to ensure the highest possible customer satisfaction. Epicor Enterprise Performance Management is an end-to-end solution that removes the barriers to better business insight through a combination of intuitive user experiences, user driven key performance indicators (KPI), and pre-packaged analytics that have real meaning to the business. Epicor EPM leverages the advanced analytic capabilities of the Microsoft platform and incorporates modern web application concepts for unprecedented ease of use and ultimately business results. Microsoft SQL Server Reporting Services (SSRS) underpins the Epicor EPM offering and provides a flexible reporting structure for delivery professional reports and analysis to business stakeholders in a format that business users can easily consume. SSRS easily utilizes many types of data and can deliver it in a variety of formats. Because SSRS works with other applications and products in the Microsoft platform, such as Microsoft SharePoint, Microsoft SQL Server Analysis Services™, Microsoft Office, and Microsoft SQL Server Report Builder® is an invaluable tool for improved analysis and decision making in the enterprise. Achieving visibility and effective controls within the enterprise can be a formidable challenge when many of the processes and procedures in place remain manual and fragmented. Effective Governance, Risk and Compliance (GRC) initiatives help companies, and their employees stay compliant, and ensure that employees and partners at all levels of the organization are aware of the associated risks of non-compliance. GRC touches every person and every function in an organization in some way. Whether GRC becomes an intolerable burden that increases company overhead or an enabler of efficiency and success depends upon its actual, day-to-day impact on the employees’ work and whether that impact is enabling or debilitating. We believe every organization, large or small, desires to have a complete and integrated management solution that fits for its most important asset and resource – its people. DW-iHR is an end-to-end human resource management system suitable for organizations of all sizes from simple single-user single-office to complicated large organization environments with multiple locations in any industries. With industry-specific designs, DW-iHR is optimized to meet the unique HR management needs and challenges of various businesses. Making use of advanced internet technologies, DW-iHR is a completely web-based system that provides a secure and easy-to-use HR management platform for both employers and employees to work on anywhere, anytime. With industry-specific designs, DW-iHR is optimized to meet the unique HR management needs and challenges of various industries, including Construction and Engineering, Cleaning and Environmental Services, Property Management, Security and Guarding, NGO and Education,Residential Care Home, Beauty and Care, Retail and Hospitality. 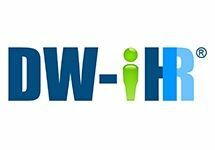 Making use of the advanced internet technologies, DW-iHR is a completely web-based system that provides a secure and easy-to-use HR management platform for both employers and employees to work anywhere, anytime. Sun Strong Precision Metal International produces high-quality sheet metal components and assemblies for the world's leading manufacturers in transportation, home appliance, security, entertainment and IT industries. For over 30 years, Sun Strong has served clients in more than 30 countries worldwide. Winson Plastic Manufactory Limited was established in 1970s with headquarter in Hong Kong and manufacturing facilities in Shenzhen (Guangdong Province, China). With more than 30 years of solid experience, Winson Plastic has already evolved into one of the leading OEM manufacturers in plastic and toys industry. Founded in 1972, Tiger is the world's leading schoolbag and backpack powerhouse with products sold over 50 countries. Through innovation, production expertise, carefully chosen materials and exquisite workmanship, our vision is to create high quality, safe and ergonomic products which comes in style, comfort and durability. Far East Specialty Chemicals Ltd.
Far East Group is specialized in production of high performance polymer soluble dyes and masterbatches. 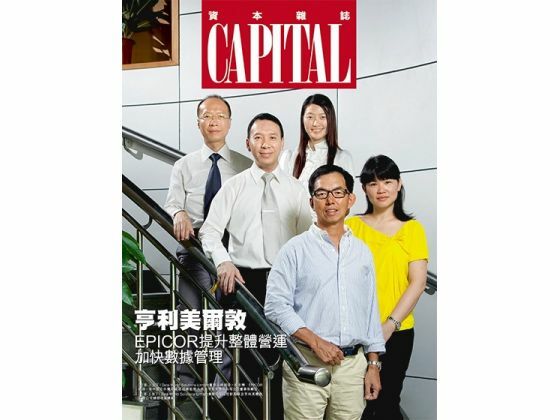 Far East Group is also one of the leading colourants and additives suppliers in Hong Kong and mainland China for plastics, synthetic fibres, coatings and inks industries. Thier colours are combined with best matching solution and strict quality control; they are able to comply with international toys safety standards, RoHS, and food packaging requirements. Merton is a leading manufacturer of Licensed Toy and Giftware since 1962. The company manufacture primarily licensed products on an OEM basis according to customer designs. Merton is dedicated to designing, developing, manufacturing, and supplying Quality Products to customers in the Licensed Toy and Gift industries. In 1925, Simmons has been introducing technological innovations like the Beautyrest® Pocketed Coil® mattress. Over the Centrry, Simmons has been working on enhanceing people's sleeping qualiaty. Simmons beleive that only by digging into quality of sleep and sleeping problems, in order to develop the best mattress. Learn how Epicor's ERP software can help manufacturers stay ahead of the game by driving global organizational growth and reduce operational costs. Many of today's ERP solutions do not meet manufacturers' business needs but Epicor ERP manufacturing software is easy to deploy and powerful enough to support manufacturers' growing business. In this video, William Lee from SMART Methodology talks about what companies need to consider when adopting a hybrid delivery strategy in order to have the flexibility of choice between on-premise and cloud deployment. Epicor delivers an entirely new approach to business software. Epicor solutions free our distribution customers from focusing on technology to focusing on what they do—their core, revenue-generating activities. Epicor's ERP software solutions provide plumbing wholesalers with the tools they need to meet unique challenges of the plumbing industry. Epicor Eclipse allows Guillen Plumbing to run their business more efficiently and find great value in the industry specific functionalities. Watch the success story of how Boers & Co's Ronald Koot (CEO and Owner) and Jos Greeve (ICT Manager) implemented Epicor ERP 10 and saw immediate benefits.